Lawyers from established Atlanta law firm selected to annual list of Super Lawyers and Rising Stars published by Thomson Reuters. We always appreciate when individual attorneys at our law firm are recognized for the work they have done on behalf of our clients. 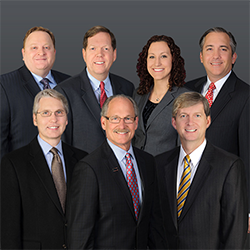 Eight attorneys from Atlanta law firm Schulten, Ward & Turner, LLP were recently recognized by Georgia Super Lawyer’s magazine, a Thomson Reuters publication. Scott Schulten, Kevin Ward, David Turner, Eric Weiss, Jon Erickson, Dean Fuchs, and Special Counsel Steven H. Sadow were chosen as Super Lawyers. Andrea L. Pawlak was named to the list of Rising Stars for the 6th consecutive year. The Super Lawyers honor provides a window into who the legal industry believes are its most accomplished members. Selection is determined via a multi-part process, including nominations by other members of the State Bar of Georgia, independent research conducted by the Thomson Reuters editorial team, and a “blue ribbon review” by peers who rank high in the first two selection components. This has been a strong six months for Schulten, Ward & Turner, LLP with respect to third party recognition of their work. In December, six of the firm’s attorneys were named Legal Elite by Georgia Trend magazine, an honor based entirely on the voting of other members of the Bar. About Schulten, Ward & Turner, LLP: Since 1986, the attorneys at Schulten, Ward & Turner, LLP have provided quality legal representation and excellent client service to individuals and businesses in the United States and across the globe. The firm assists clients in achieving their goals in a wide range of legal matters, including those related to business transactions and litigation, commercial real estate, employment law, taxation, and white collar criminal defense.